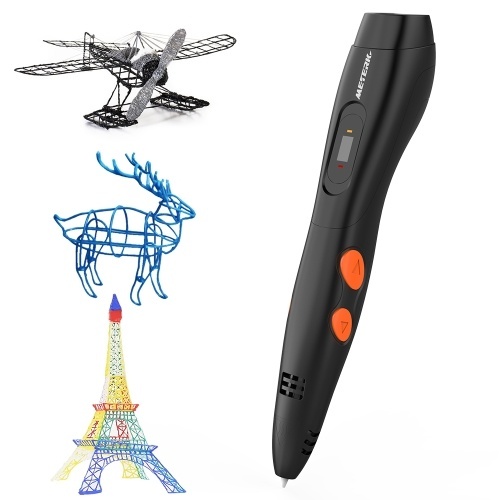 Want to use a 3D printing pen for creating 3D models, doodling or drawing interesting things? 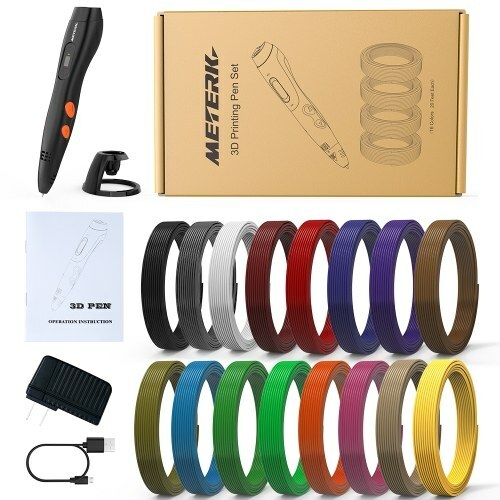 You must try this Meterk 3D printing pen. It's designed for creating children's doodling and imagination. 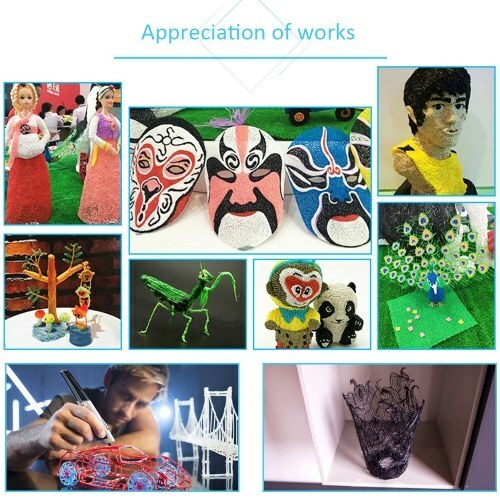 Easy to print, sketch or doodle amazing 3D masterpiece, great tool for artwork and creating models to develop kids artistic skills and thinking. Develop Kids' Artistic Skills & Spatial Thinking - Help children to improve spatial thinking ability, to encourage their creative imaginations. 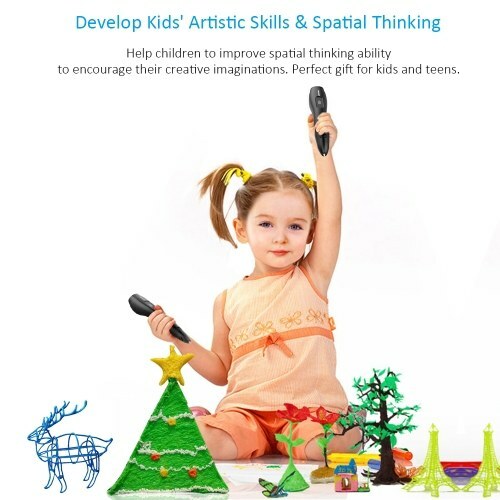 Perfect gift for kids and teens. 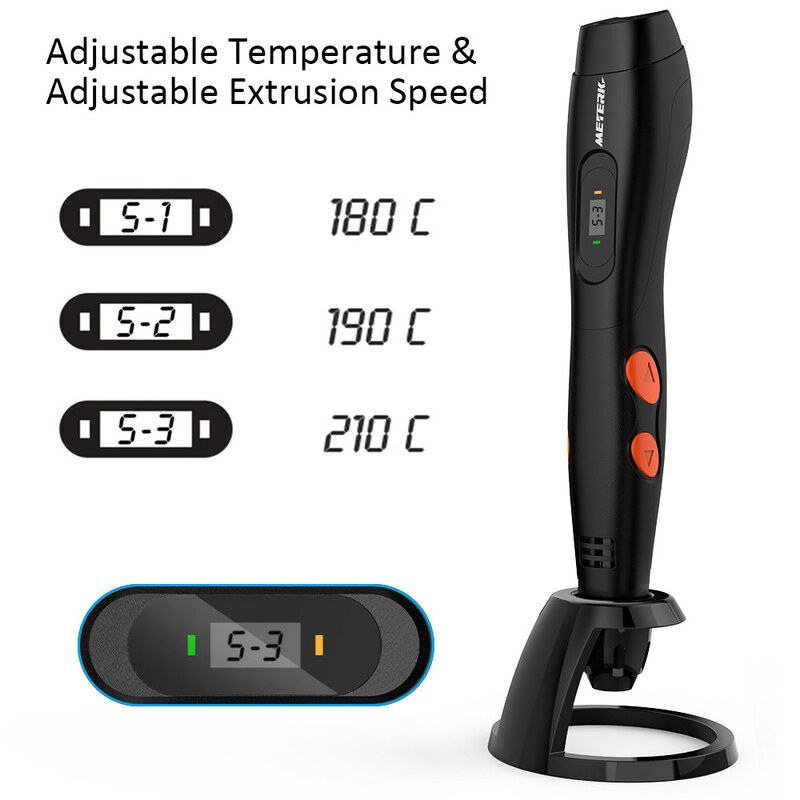 Adjustable Temperature & Adjustable Extrusion Speed - Easy to adjust different speeds for drawing different shapes and work with 1.75mm PLA and ABS filament refills. 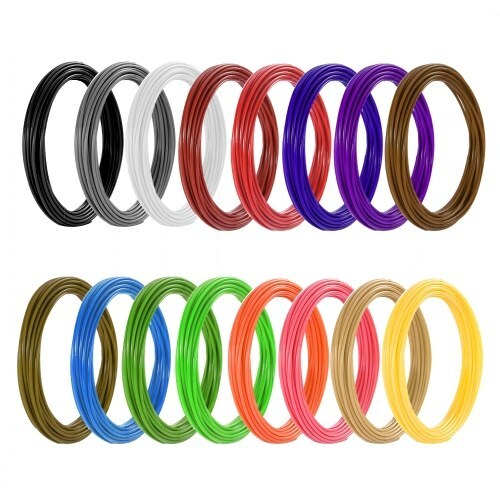 Sent with 16pcs PLA filament sample, each 20ft long. 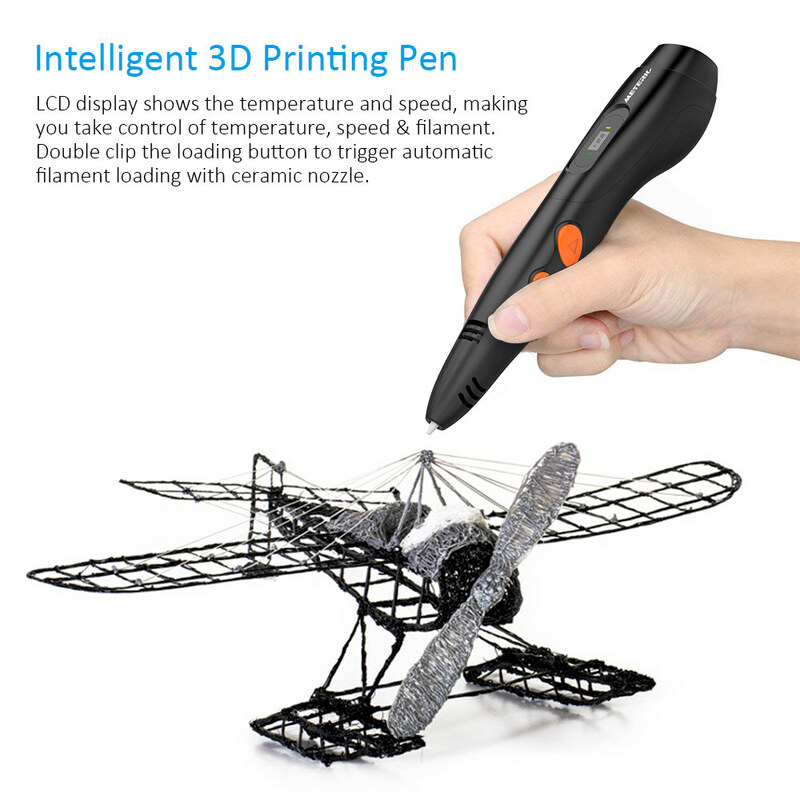 Intelligent 3D Printing Pen - LCD display shows the temperature and speed, making you take control of temperature, speed & filament. 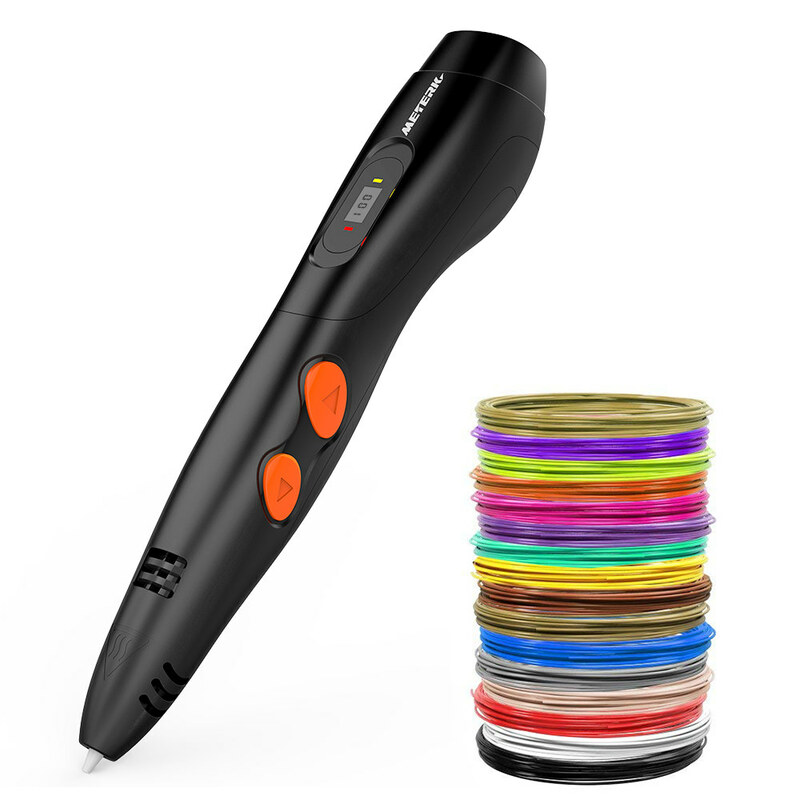 Double clip the loading button to trigger automatic filament loading with ceramic nozzle. With 2 Working Indicators - Red for power on and warming up, green for ready to use. 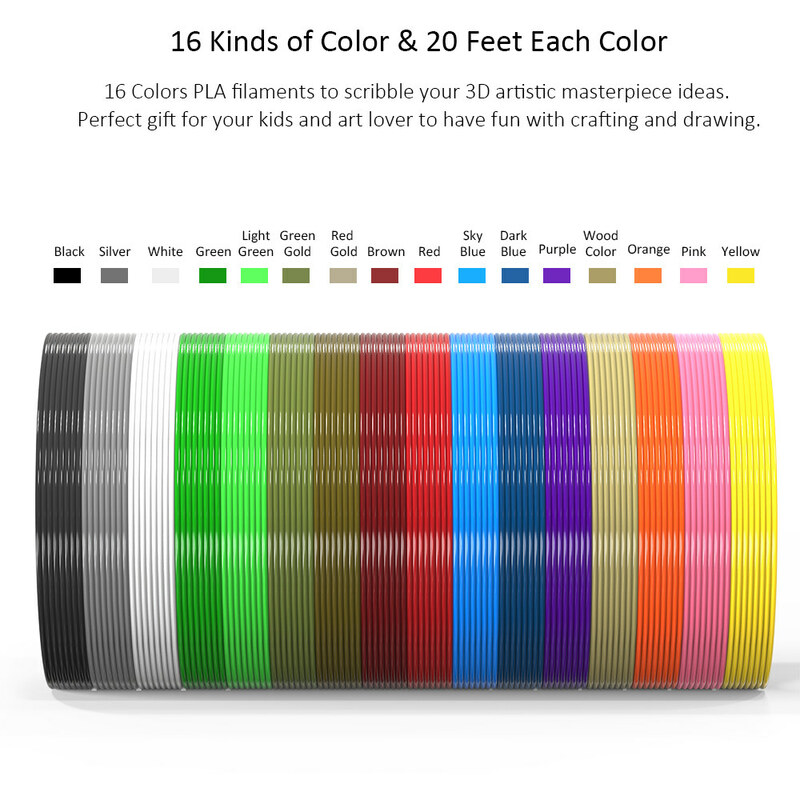 Very fun and innovative tool for kids, 3D printing hobbyists, or an artists. DC 5V Input Mini USB Interface - Sent with a power adapter, and you can connect the USB with mobile power to draw outdoor. Very convenient, safe and reliable. Item Size: 177 * 35 * 26mm / 7.0 * 1.4 * 1.0"
Package Size: 33.5 * 20 * 9cm / 13.2 * 7.9 * 3.5"
1.The children under 7-year-old must be under the tutelage of adult when using the 3D printing pen. 2. Don't touch the pen nib or place it on things that can be burned easily soon after it is used. Cool it down before storing. 3. 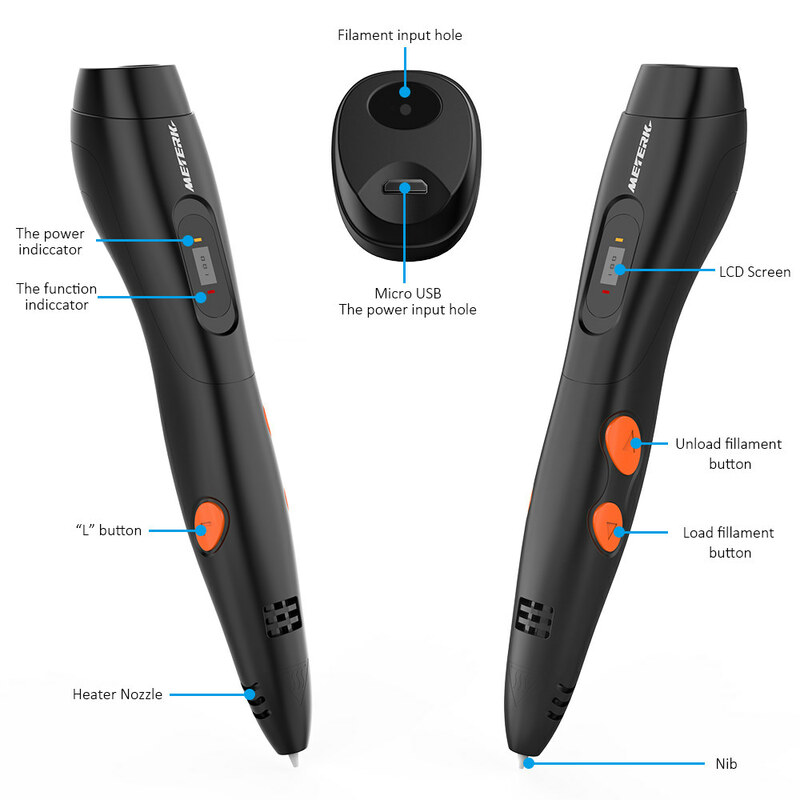 If your power source is 5V 1A, the pen may not be able to load filament. Please use 5V 2A power supply.